This posting is not a typical apple seeds posting. It’s sad, but it’s reality. It’s happening every day in so many parts of the world and it’s a reminder that we can help. The hope is to share my friend Manju’s story and encourage support to her amazing organization, Pourakhi. The little boy in the photo above is 3 years old. He lives in the Sarlahi district of southeastern Nepal. He has a bad infection that needs to be treated, but there is no one to take him to the hospital and no one to buy him the needed medication. The boy holding him is 8 years old. He is the older brother who has become a makeshift parent, looking after his baby brother since his mother migrated to Kuwait in search of labor as a domestic worker. Their mother has been in Kuwait working hard for 3 months, and just last week sent home 180,000 rupees. That’s $180. That means she works to make $60 per month. To make this really hit home, she works around the clock, with a family she doesn’t know, is always on duty, and makes just $2 per day. When the father – the man on the right in the photo – received this money from his wife, he used it to throw a party in the village. He killed a goat in sacrifice for receiving such a sum and drank - the way he usually drinks, given his alcoholism. This same disregard for his wife’s hard earned money is the same disregard he gives to his young children. These two boys basically live alone, with an absent father who, sadly, is right in front of them. They were being cared for by their 12-year-old older sister, who disappeared for a while to support a friend. The sister has since returned to take care of her younger brothers. As a young girl without parental guidance or any adult support, she is now at a very high risk for being trafficked to a foreign country as well as sexual exploitation right here in Nepal. About 1800 people leave Nepal each day to find work outside of their country. Women who become domestic workers are particularly vulnerable, as they typically do not go through an official government registration process. They most often go to the Gulf region in search of work and money, and their average stay is 2-3 years. Many of these poor women have successful stories. They end up with a loving family who brings them into their home, feeds them and teaches them kitchen skills, child care and the necessary vocabulary in the local language. Some of these migrant workers are not so lucky. They arrive in a home illiterate, having never seen a modern appliance and are asked to cook dinner, clean a big house and care for a family that is not their own. Imagine staring at a microwave and not knowing what it is for. Imagine seeing an iron and not having enough words in the language to ask how to use it. In one case, a woman put the father’s shoes in the refrigerator thinking it worked well enough as a closet. Some women are living with families that are not patient, however, and they either kick them out after their long and emotionally difficult voyage or worse – physically and verbally abuse them. In many situations, these women are sexually abused by the man of the household. The woman then has to live in fear of both the man who is violating her and the wife who might find out and doubly abuse her. Remember that these women, if they are mothers, leave their children at home in Nepal. They are mothers who have to make the hard choice to leave their child behind so that they can, one day, send that child to school. Pourakhi is an incredible organization, founded by Manju Gurung in 2003. As a former migrant worker herself, in Japan, she understands the plight of these women and works to educate them on basic skills they will need before leaving for their foreign labor, and their basic human rights when they finally return home. In 2005, she received seed money from UN Women and since then, with additional grants from USAID, the Swiss Development Corporation, Swedish Development Council and AWO International, she now oversees 16 offices and 15 district branches throughout Nepal. Each office has one focal point, one social mobilizer and many, many volunteers. One of the tasks of the social mobilizer is to conduct peer education programs with leaders in remote villages to educate them on migration, their basic rights and, perhaps most importantly, on economic and financial literacy so that their hard-earned money is not lost. A second task is to watch over the children that these migrant workers leave behind. Even if they do have a loving father, unlike the story above, he also must work so there is rarely the constant adult support a child needs to grow and learn and thrive, not to mention live out their basic human rights. Pourakhi Nepal’s staff also works on a third level. They conduct psychosocial counseling for returning migrant workers and their families. Imagine being 3 years old and not seeing your mother until you are 6 or 7. Do you bond with her in the way that a child should? Do you trust her not to leave you again? Now imagine being a mother coming back to children she left as babies who are now almost all grown up. How do you re-connect with them? How do you re-integrate into your former life of poverty having just lived in a wealthy home in the Gulf? 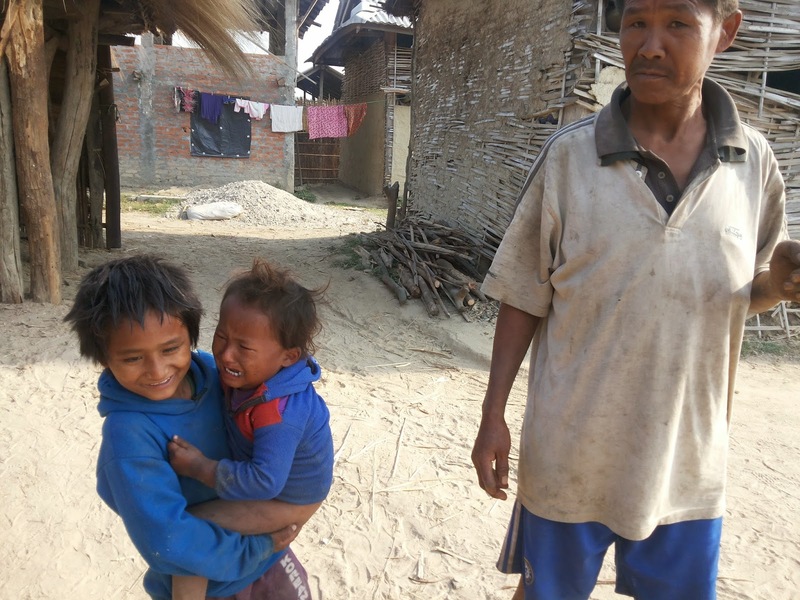 What if you didn’t bring home enough money to keep up with the demands of a difficult life in Kathmandu or the surrounding villages? In one case a few weeks ago, a 31-year-old woman committed suicide. She left Nepal at age 18, sent by her family to work abroad and send them money. Even at that young age, she left three children behind. Her family tortured her upon her return for not making enough money. This poor child was so depressed with her life upon return that she overdosed on medication and never woke up. Sometimes death has a brighter ending than a life in poverty and pain. Part of the many layers of her work, Manju developed curriculum for domestic workers for the government of Nepal (which has since become mandatory), wrote a series of trainings for these migrant workers before they leave Nepal to teach them how to avoid being sexually exploited, and offers a 21-day skills training on how to use a kitchen, how to speak in Arabic, and in child care. 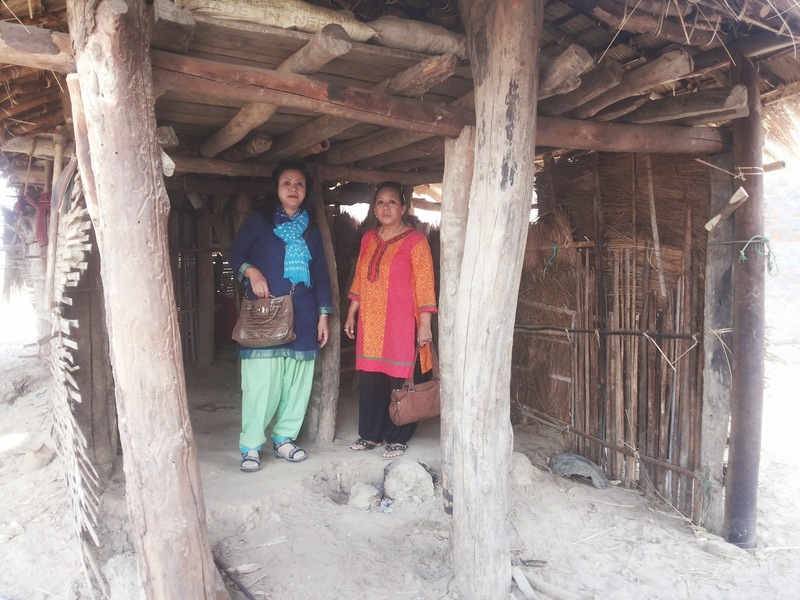 Many women cannot afford the time off to receive this training, and most women cannot afford the housing in Kathmandu for several training days before departing for their new life abroad. Manju also sees a need to go deeper in the communities where Pourakhi serves. The office needs funding to keep paying their staff as well as open additional offices within communities in need. - Women leaving their families behind in search of money to support them, unsure of their basic rights. - Children who are left without a mother and often left to raise one another in a parent-less home. - Spouses or families who abuse the hard-earned money with a lack of financial knowledge of savings and spending, nor the understanding of the importance of housing and education. - Communities who don’t accept how difficult it must be for a woman to leave and return to a place that no longer welcomes her. I know that my friend Manju and her incredibly hardworking team in Nepal appreciate your support.